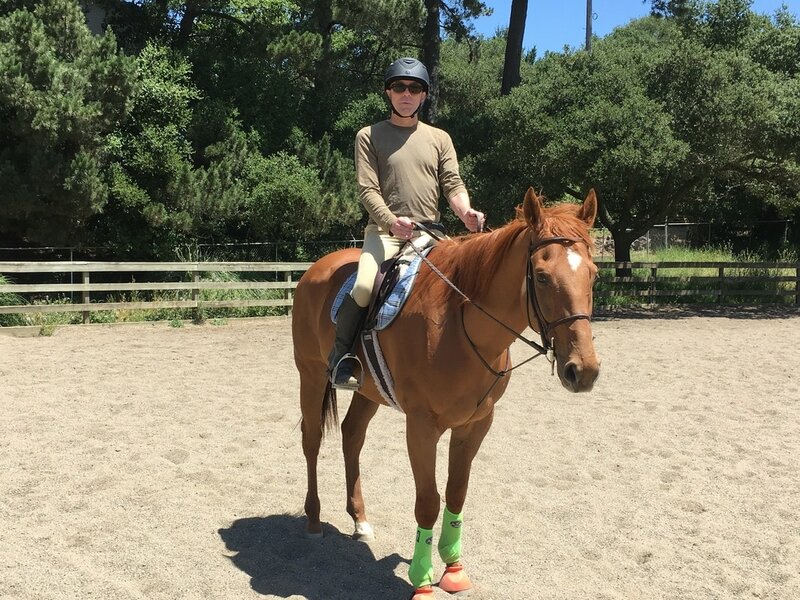 Quest offers horseback riding lessons to anyone interested in learning to ride, regardless of their goals. With our lesson program we emphasize fun and, of course, safety. We never push students but gently encourage our clients to challenge themselves to improve their skills and broaden their experience. 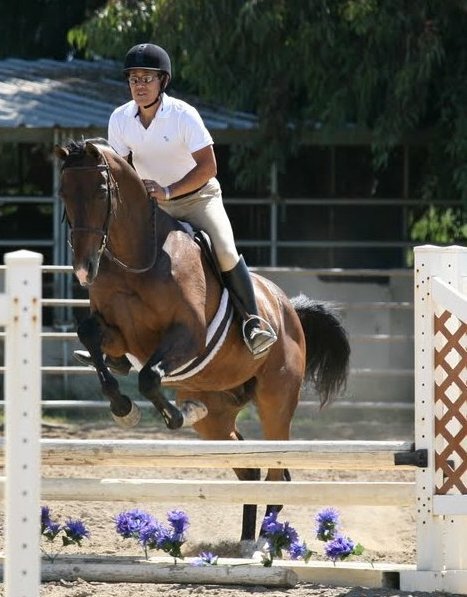 We offer instruction in English Hunter Jumper and Western Pleasure disciplines. All students start with the fundamentals of barn safety and the proper care and grooming of horses. From there you will be taught a foundation of horsemanship, both on the ground and in the saddle. Students progress further into their disciplines at their own speed and move through the curriculum as their skills develop. We strive to make every lesson safe, challenging and fun. Our strength is with adults of all ages and children 8 years and older. If you are interested in lessons for a child younger than 8 please feel free to contact us as we’ll be happy to refer you to an instructor. ​Lessons are private except when scheduling demands us to group riders together. But relax, group lessons are fun. Lessons are conducted using a communication system that allows you to always hear the instructor. When you come for your lesson we encourage you to spend extra time at the barn before or after. This will give you an opportunity to deepen your bond with the horses and build a partnership with them. 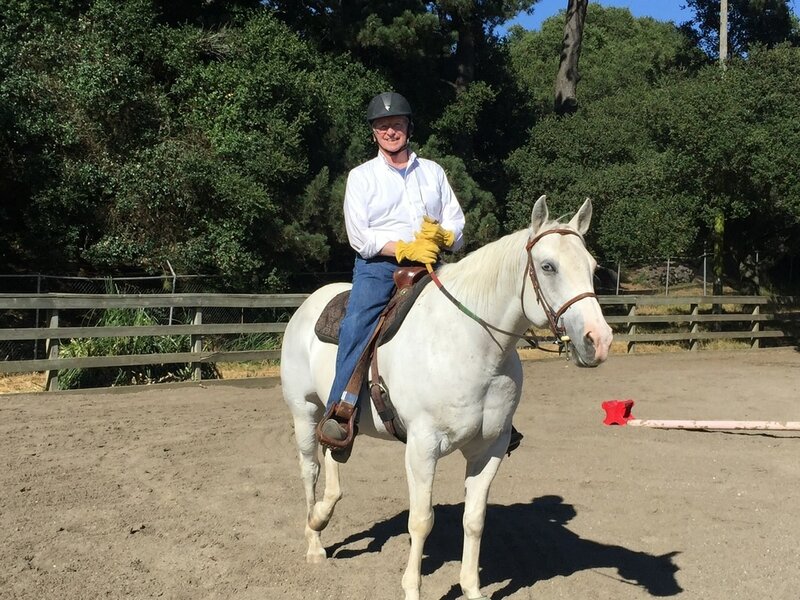 But you'll also have time to make new friends and learn from other horse enthusiasts. We generally ride outdoors so sunscreen is recommended if not long sleeves. ​Please, bring water to your lesson. Riding is serious exercise and you’ll want to stay hydrated. Before your first lesson download and sign our Release Forms. You can shop locally for any of your riding supplies at these stores.